If you want to impress someone with your video, you should always polish it before having it shared on Facebook, YouTube, Vimeo, Google+ or Twitter. Of course, not all of us would love to go through the painstaking tasks of cutting unwanted parts of a video, joining different video files or adding effects to video, etc. It sounds like a difficult and time-consuming work, not to mention the technical skills it requires. The good news is, free video editing software are growing by leaps and bounds in the last few years which makes video editing a much easier task. So if you are interested in video editing but have never edited anything before, you can get started by choosing the best free video editing software which could help you make great videos with ease. In this post, you'll discover the top 10 best free video editing software for Windows which you can easily get online. Go through any one of the followings and make your favorite movies! It's a free video editing software for Windows users developed by Microsoft. It allows you to edit videos with cool features, helps you create your own presentations and it can import photos or videos directly from your phone or other devices. If you are running a Windows PC (XP, 7, 8, 10), you should definitely go for it. You can read this guide –How to Create Video with Windows Movie Maker to learn more about its editing features and how to download and install the software on PC, and how to create videos with it on Windows. VLC Media Player is a popular program for watching videos and movies, and it is also a good video editing software that serves for both premium level users and average users. You can cut, merge, add effect, create fun videos, convert media files, add subtitle, rotate video, etc. with it. It's simple, fast and powerful! It's an open source video editing tool which is available for Windows, Mac and Linux for free. Developed by hundreds of people from all around the world, it offers advanced features including grid and bridge fill, mirror functionality, easy weight painting, 3D creation, etc. that cannot be found in other free video editing software. You are free to use Blender for any purpose, including commercial use or for education. It is one of the best video processing programs for 32-bit and 64-bit Windows platforms. It supports batch-processing and it makes it easy to perform editing tasks including adding files, deleting files, cropping side bars, reordering video and rotating video. Besides, it is a video converter that lets you convert video to any desired formats. But beginners might find it difficult to understand how it works. It's also a video editing program for different platforms including Windows, OS X and Linux. Its powerful features include: HD support, non- destructive editing, storyboard mode, unlimited video tracks and audio tracks as well as impressive set of real-time effects. All effects will come in handy and it's free to download. But you can get the Pro version as well. It's known for composing video with high performance and flexibility. Same as Video Editor, there're two editing modes available in this program so both beginners and professionals can make good use of it to create desired videos. It helps you create 2D video to 3D with special effects. And it supports more advanced video editing features like Mosaic, Jump Cut, Flashhold, picture-in-picture, transitional effects, etc. Moviestorm is a great tool that is capable of giving you complete 3D movie making experience. It's useful for making cartoon, music and horror movies. So if you have the need to make high quality animated movies, then this Moviestorm is an easy-to-use tool that will inspire you to do more. If you are looking for an easy-to-use video and photo editor, then VideoSpin is definitely a good option. It's designed for beginners as well as professionals with a nice and clean user interface. You can use it to add text, audio, overlays, video effects, transitions effects, make photo slideshow and delete unwanted scenes. It supports all popular audio/video formats. But it's not yet to be as advanced and powerful as other video editor like Video Editor and Video Converter Ultimate. It's a free video editor which is smart, fast and simple-to-use. It supports a bunch of video formats including AVI, MP4, MKV, FLV, MOV, WebM, etc. With this program, you can edit movie for sharing on YouTube, get rid of unwanted parts in your video, remove unwanted audio stream, etc. Most importantly, the original video quality will be maintained during the process. ZS4 Video Editor is a light weight yet powerful video editing program for Windows users. And it's available for free. With this program, you can create your own videos and presentations by combining photos, videos and audios files into one. It has some incredibly powerful features similar to Final Cut, so if you need the same features but cannot pay thousands of dollars for it, this is the closest thing you can find. Basic editing functions like crop, trim, rotate, merge, etc. Video effects like transitions, intro/credit, sound effects, photos, etc. Sharing options: YouTube, Facebook or Google+, etc. Powerful yet simple editing tools: trim, crop, merge, rotate, adjust, etc. A bunch of amazing effects: transitions, overlays, credit/inro, background music, etc. Advanced option: scene detection, close-up, PIP, etc. Convert videos/audio between any formats including HD, 2K, MP4, AVI, MOV, M4V, MP3, FLAC, etc. Download videos from online websites like YouTube, Facebook, NicoVideo, etc. 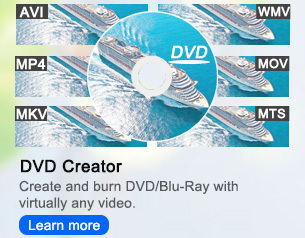 Start creating your own movies now! Don't forget to share your feedback with us in the comments sections below.